^^ Interesting. I have found Deepa Mehta's movies to subtly mock Hinduism, though not in too loud a way. In fact, 'Water', mocks Hinduism the least. But this does not look like that. Or May be she will make a sequel where Salim Shinai is no longer safe in Modi's India. I remember reading long back Khushwant Singh's take on 'Satanic Verses' was that it was long and boring and it tries the shock value to keep the reader engaged. Apparently, he had recommended Penguin not to bring out the book. My 3rd Gen Brit Pak Landlord in London had a copy of 'Imaginary Homelands' by Salman Rushdie. It's the early sixteenth century and religion is the dominant force in the world . People are steeped in superstition and dogma . Luther has a powerful protector in Frederick the wise who is the elector of Saxony , but an even more powerful enemies in Pope Leo X and Charles V who is the Holy Roman Emperor . Luther is brought to trial at Worms where he will have to summon up the guts to stand up to his beliefs . So does he have the guts ?? And what is his reaction to the slaughter that his dividing beliefs have created ?? Do the German princes side with him or against him ?? And does he achieve his goal of translating the Bible into the German language and make it accessible to the common people ?? 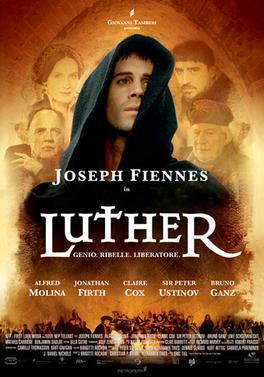 Joseph Fiennes has put up a fine performance as Martin Luther , bringing out his passion for reforming his religion all too well . Peter Ustinov has clearly enjoyed playing his role of Frederick the wise by injecting a touch of humor even in serious situations . Luther's marriage comes almost as an afterthought in the film , as the entry of his wife ( played by Claire Cox ) is towards the end of the movie . Music is the strong part of the film , as classical music blends with holy hymns---it is always in the background and is a powerful presence without being loud , making the movie more likable . All in all , I was pleasantly surprised to get a free and interesting history lesson in a VCD which I had got free with my DVD of 'Dr Zhivago' . In the Kashmiri language Sheen means snow , and it is a popular name given to girls there too---for their skin is as fair and white as snow . The story begins in the late eighties when our heroine Sheen lives a carefree life in Kashmir valley . Her father is the local school teacher and teaches in an open school set in the midst of a sylvan countryside . She falls in love with Mannu who is son of her dad's friend . It seems the rarefied air of Kashmir and the beauty of the countryside can breed nothing but pure thoughts of tranquility ; and the Kashmiri people are indeed a gentle people---a world away from their formidable martially inclined neighbours in Punjab and the Pathan regions . The story of Kashmir is tragic , and therefore the story of the film is bound to end in tragedy ; tragedy above all for the home grown Kashmiri terrorists---who do not realize until too late that those who live by the gun ultimately die by the same weapon , and do not realize that they are just an expendable tool of war for their Pakistani masters . Docji, where did you get to see Sheen. I saw some parts of it on ZeeTv or such a channel long back. Bhaag Johny is also ok types. TV--Don't remember which channel . watched and reviewed it an year ago . Dr Zhivago was in Netflix streaming a few years back. There still seems to be a new version. Docji, if you are into such classics you could also catch up on "Lawrence of Arabia". 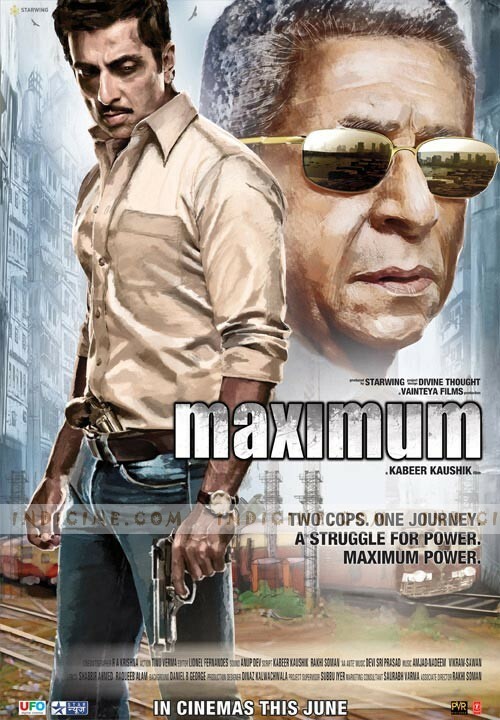 It also has Omar Sharif (and IS Johar in a bit role- as good as Anil Kapoor's in MI4). Lawrence of Arabia.. Although a classic and grand movie .. I feel its a pathetic attempt to show Brits as the only smart people who know warfare. ....For one goes to the film in the hope of seeing some mind blasting ear shattering heart crunching shooting of criminals and their associates in mindblowing encounters---but what does one get ??? One gets to see endless yak yak---I mean talk---between the various protagonists in the film . The rivalry starts in 2003 when ladies bars were part of the night scene of Mumbai.....and that gives the director of the film the chance to show some chammiyas in action.....and also brings nostalgic memories of nights spent ogling at the dancing beauties of Tandoor bar to your very own Ashdoc.....I could almost feel the tears of nostalgia well up in my eyes---where is my Mumbai of the bygone days ?? He had a potentially superhit song in his hands and he smashed it !! But Sonu still has the affair on the sly with bollywood starlets and his wife has to forgive them like a traditional bharatiya nari....what else can she do ?? Docji, in case you see an 'offbeat film', wont there be more yak Yak than dishum dishum.